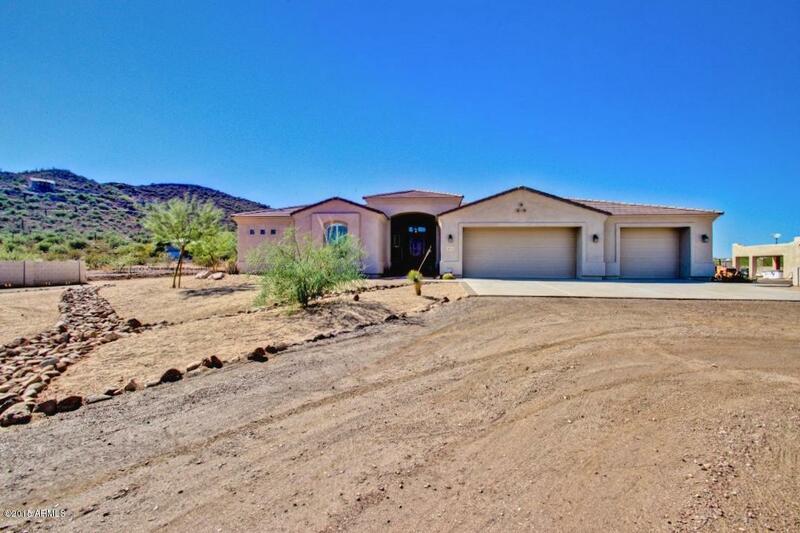 Spectacular 4 bed/3.5 bath CUSTOM Home on 1.25 Acre lot with stunning mountain views and NO HOA! 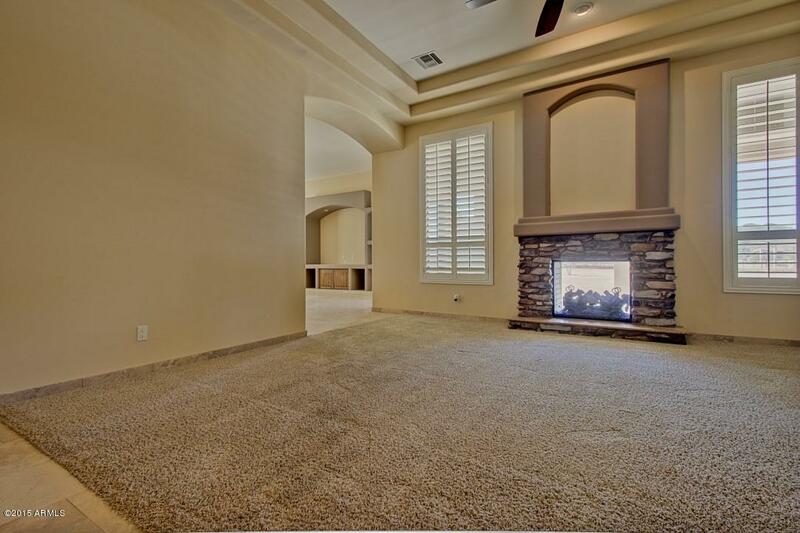 Beautifully upgraded with travertine flooring and 8' solid Alder doors throughout. Gourmet kitchen has granite and SS appliances. 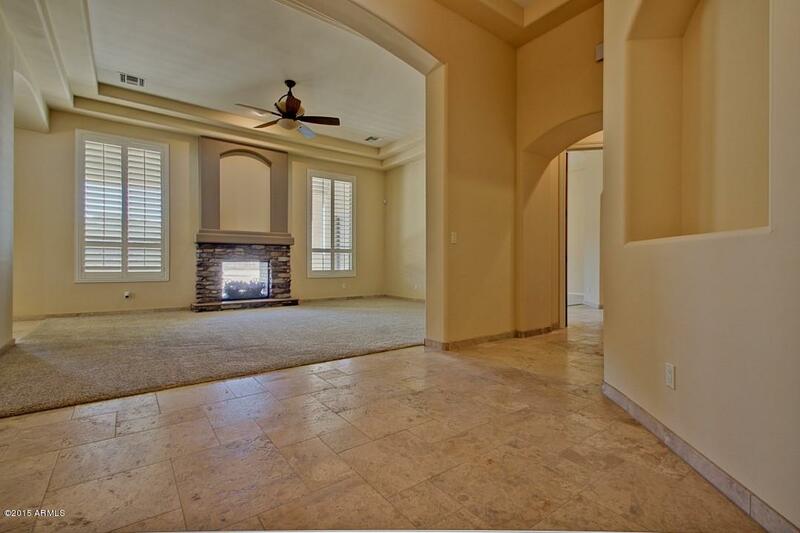 Very desirable and spacious great room floor plan and oversized master suite with huge walk-in closet. Luxurious master bath has separate soaking tub and tiled shower. Dual fireplace connects living room to full length covered patio. There's also an oversized 4-car garage, the single garage door leads to a deep tandem bay. 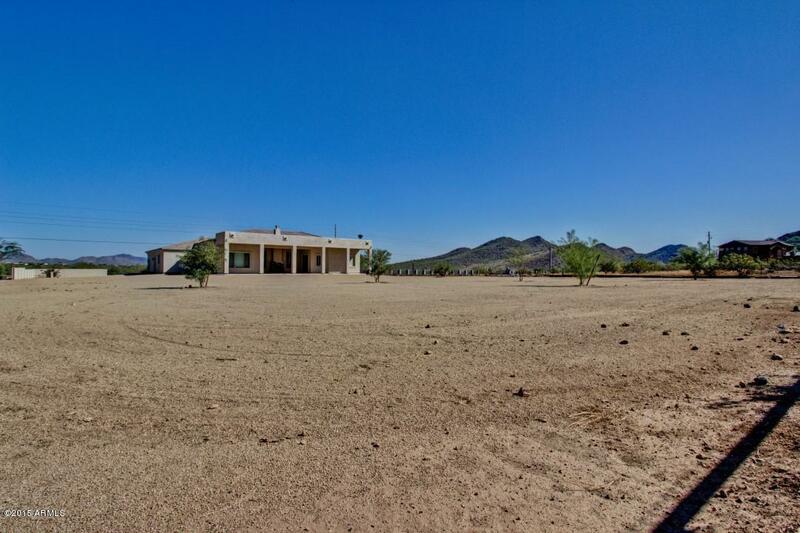 Let your imagination run free when deciding what to do with all that land! You'll have plenty of room for your a resort-style backyard & pool, horses, RV's, multiple cars and all your toys too! Inexpensive private well shared with only 1 neighbor.